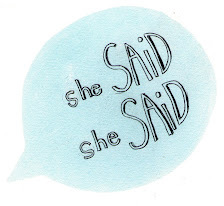 she said, she said: A story about two strangers. One a little stranger than the other. A story about two strangers. One a little stranger than the other. I desperately hope this movie makes it to South Korea. If not, please go see it for me and revel Adam and Beth's cute romance.